Post any cheats you find in Oiram here! Please post a GIF/APNG or video if possible (use CEmu to capture the APNG). If you can't post any of those, please include precise instructions on how to do the cheat. Instructions: If you enter a red pipe as staroiram, you are immortal for all future levels. Instructions: In the final level battle Reswob as fire Oiram. Shoot a fire ball at Reswob. Use the cheat posted above to finish the level. This is a very nice list of cheats! I knew all of them except the infinite lives with the koopa and the starman glitch. Update: The starman glitch is does not apply to green pipes. I have tested this multiple times. There is a glitch in level five of the default pack where if you destroy 2 blocks of the golden bricks tower, and sprint in as any big Oiram, crouch just before the pyramid, and slide under, then stop crouching, you have entered the wall. Short-press the crouch button repeatedly to ascent, I have not yet found a way to descend. If you encounter any wall with two blocks straight up and at least one block overhanging, one is able to clip into the wall. You must advance towards the wall, jump, and Just before Oiram’s head touches the overhang, short press crouch. This takes a bit of practice, but afer a while becomes very easy. 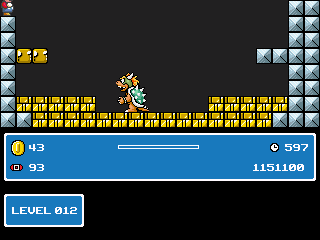 This is required to beat the third level of the pack “Teclada”, if you stop the Tanooki flight. I would upload a gif, but I don’t know how. 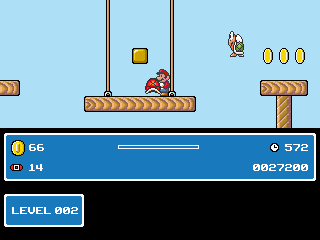 These are two levels completely dedicated to Oiram Glitches. © Copyright 2000-2019 Cemetech & Christopher Mitchell :: Page Execution Time: 0.135379 seconds.